California's 1 million Flex Fuel vehicles can displace 600 million gallons of petroleum gasoline with E85. California E85 users recognize E85’s value proposition, with 92% of customers reporting same or better value compared to unleaded gasoline. California's has over 1 million E85 compatible Flex Fuel vehicles with the potential to displace 600 million gallons of petroleum annually. 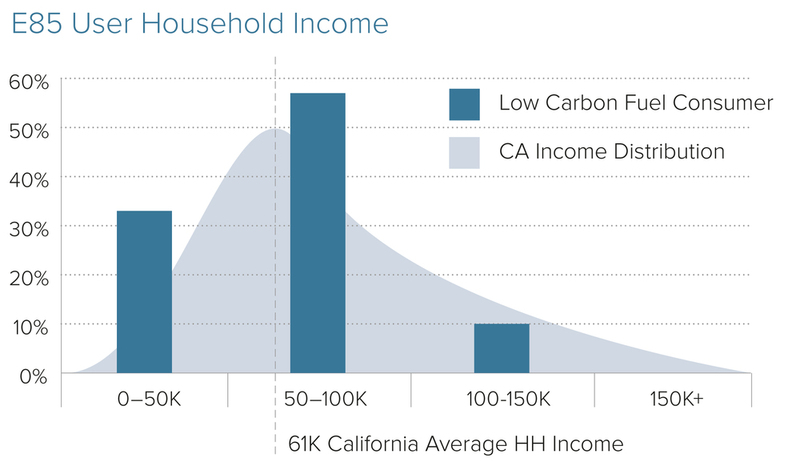 E85 user demographics reflect California’s diverse population with widespread adoption amongst mainstream fuel consumers. E85 provides meaningful air quality improvements and greenhouse gas reductions. California's E85 offers 18-53% reduction in NOx and a 32% reduction in greenhouse gas emissions when compared to unleaded gasoline. 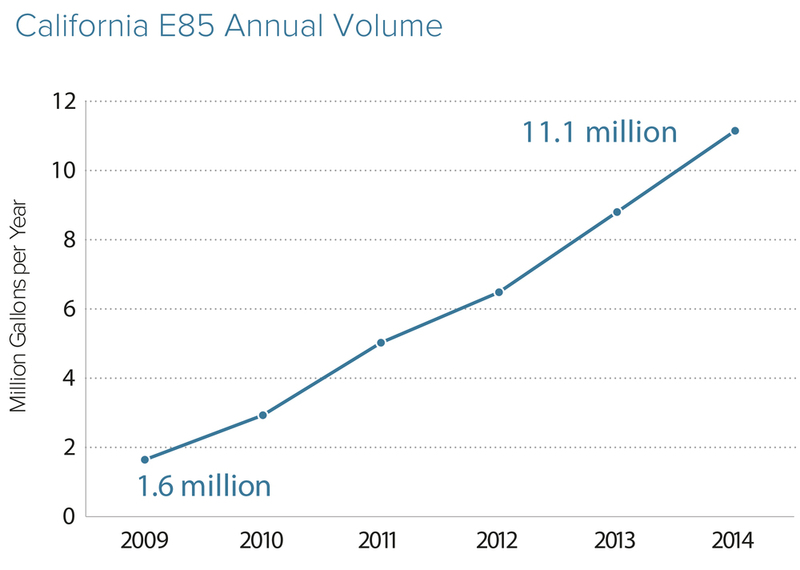 California’s highest volume E85 retail locations are located in EPA extreme non-attainment areas. Propel's retail strategies are the primary driver of California’s E85 market growth since 2009, resulting in 70% market share. Propel's unique market approach has outperformed the California average retail location by 300% and increased E85 volumes despite petroleum pricing volatility.